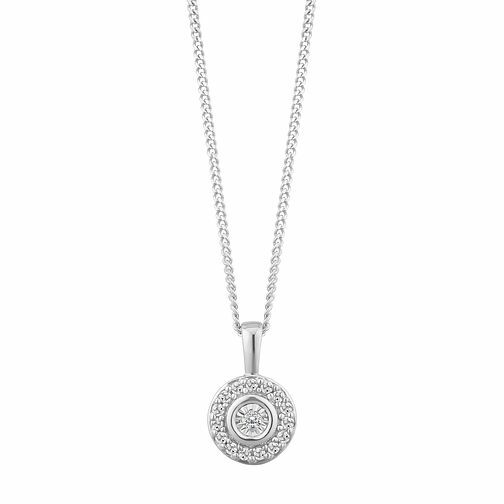 This sophisticated diamond pendant makes for the perfect understated shimmer suited for both everyday or evening wear. Crafted from 9ct white gold, an illusion set round diamond dazzles upon the centre of a sparkling halo. Finished with a fine chain, a timeless beauty with a total diamond weight of 0.04ct.